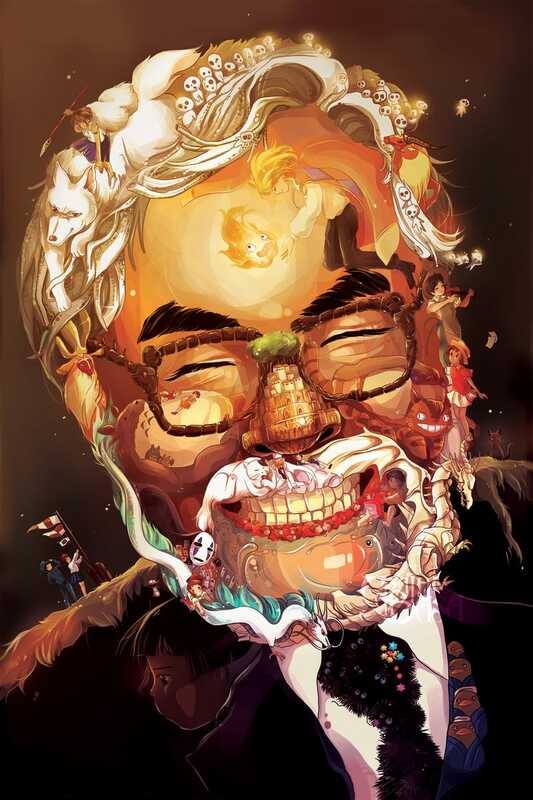 Characters and concepts from Studio Ghibli's films dance around this portrait of a smiling Hayao Miyazaki. Somehow it makes perfect sense to see cats in his mustache and dragons in his beard. Artist C3nmt created this sweet illustrated tribute to the animation director, with a few inspired fashion choices. I could see Ghibli fans donning those Laputa glasses or wearing a tie made to resemble wandering balls of soot.